Buying vs. 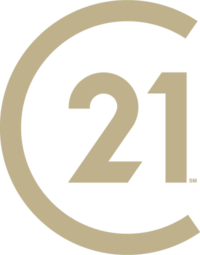 Renting – Century 21 Lakeside Realty Ltd.
With today’s interest rates, mortgage payments are often less than monthly rent payments, making home ownership more attractive than ever. Instead of using your hard-earned money to pay the landlord’s mortgage, you can use the money to buy a home of your own. Buying a home make sound financial sense and the benefits extend much farther. Here are some facts for you to consider when weighing whether buying is better than renting. If you are 35 now and just buying your first home, you will be mortgage-free when you are 60 and sitting comfortably on a considerable asset. It is highly likely that your investment will appreciate considerably over the 25 year term of the mortgage. Don’t buy with the intention of making a quick fortune. Think of a home as a long-term investment. Buying a home is a very effective way of saving regularly for 25 years. If you were to never invest in another retirement plan, you are effectively putting money away for the future when you buy a home. Owning a home lets you set down roots, get involved in your community and develop friendships for you and your kids, many that will last for years. Discover the pride of ownership when you make a house your home. You can enjoy the touches you put into your home for as long as you want, and then you can change them again. Mortgage insurance that pays off the balance of the principal when a homeowner dies means your family would be left with the home – and without the debt. Owning your own home is a definite plus when it comes to negotiating with your financial institution on borrowing money for other purchases. If you pay $750 a month in rent and never face an increase, after 25 years you will have paid $225,000 – and have nothing to show for it. You may not need as much money as you think to get into the housing market. Qualified buyers can buy a home with as little as 5% down payment through the CMHC mortgage insurance plan. Click here for full details. Many kinds of investments require you to pay Capital Gains on the money you make. You don’t have to pay that tax when the value of your principal residence goes up. This means you keep the money your investment earns.